The triple talaq bill, which was passed by the Lok Sabha last year, was stalled in the Rajya Sabha. New Delhi: Passed by the Lok Sabha, the triple talaq bill reached the Rajya Sabha this week. But before it could be taken up, 12 opposition parties, led by the Trinamool Congress and including the Congress, demanded that the bill first be sent to a select committee of Parliament. The main point of contention in the bill is a provision that seeks to criminalise the Islamic divorce practice. As the parliamentary rules dictate, on Monday, Trinamool Congress MP Derek O’Brien introduced a motion to have the bill sent to a select committee. Though the government has rejected the demand, the 12 opposition parties together have more numbers than the ruling coalition NDA — 128 against the latter’s 97 — and the current strength of the Rajya Sabha, 244, places the majority mark at a comfortable 123 for the opposition. The outcome of the motion will be known Wednesday when the Rajya Sabha reconvenes, but, meanwhile, the standoff elicits curiosity about the frequent opposition demands to place bills moved by the government before select committees. 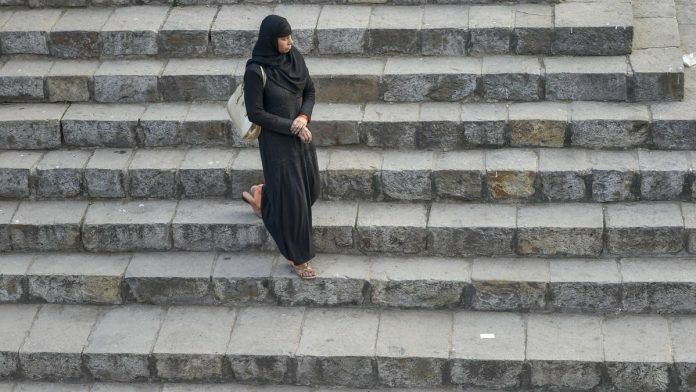 In recent times, the triple talaq bill is the second piece of legislation after the Transgender Bill — which the government claims will empower the community but has been slammed as inadequate by stakeholders — that has led to calls for a select committee. Rule 125 of the Rajya Sabha Rules and Procedures empowers any member to seek a bill to be referred to a select committee, which is an ad hoc panel formed as and when the need arises and dismantled after its stated objective is fulfilled. They are different from standing committees in that the latter are permanent in nature. Select committees are time-bound panels formed to examine a particular bill, on which it can suggest major amendments and changes after seeking representations from the public and other interested parties, though it is not binding on the government to include all the amendments in the bill. After the panel submits its report, a clause-by-clause consideration of the bill can be taken up in Parliament through a motion. Former Lok Sabha secretary general P.D.T. Achary told ThePrint that while select committees can be formed in both houses, they are generally formed in the Rajya Sabha, where the opposition often has greater numbers than the government. The GST Bill, passed by the Lok Sabha on 6 May 2015, was referred by the Rajya Sabha to a 21-member select committee on 14 May 2015. In its report, submitted in July the same year, the committee endorsed most provisions of the proposed GST Bill, with just a few notes of dissent from members of the Congress, the AIADMK and the Left parties. Passed by the Lok Sabha, the Payment and Settlement Systems (Amendment) Bill, 2014, which designates the RBI as the authority to regulate payment systems in India, was referred to a select committee comprising 16 members of the Rajya Sabha in 2014. The report of the committee was presented to the Rajya Sabha on 26 February 2015. The panel endorsed the bill, with only two notes of dissent. The Coal Mines (Special Provisions) Bill, 2015, which aimed to make coal mine auction and allocation more transparent, and the Mines and Minerals (Development and Regulation) Amendment Bill, 2015, to allow transfer of captive mining leases not granted through auction, were also referred to a select committee of the Rajya Sabha. The bills were cleared by the Rajya Sabha after the select committees didn’t recommend any change in them, despite opposition by Congress members. The Constitution (123rd Amendment) Bill, 2017, which sought to grant the National Commission on Backward Classes (NCBC) constitutional status,was passed by the Lok Sabha on 10 April 2017, and referred to a select committee of the Rajya Sabha the next day. The bill was passed last year. The Motor Vehicles Amendment Bill, 2017, with greater fines for road rule violations, among other reforms, was passed by the Lok Sabha on 10 April 2017. It is pending in the Rajya Sabha despite a select committee clearing it without changes, on account of opposition protests. Experts now fear the bill may lapse if not taken up soon.